Chris Hadfield: Ground Control To Major Trivia We blast off to D.C. with astronaut Chris Hadfield! He talks about the challenges of spending five months in space, gives tips on playing space guitar, and plays a game about winter sports. 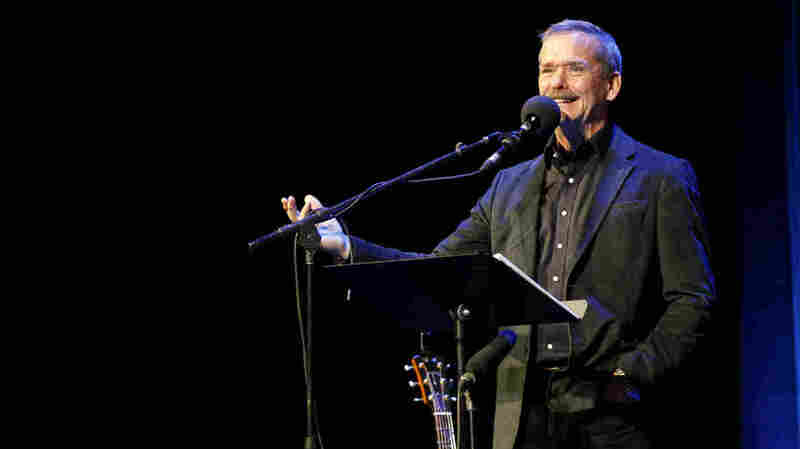 Chris Hadfield appears on NPR's Ask Me Another at The Warner Theatre in Washington, D.C. When astronaut Chris Hadfield returned from his last mission in space, his body was "really, really confused." After five months in orbit, "You can't balance. You don't inherently know which way up is," the first Canadian to become Commander of the International Space Station told host Ophira Eisenberg at the Warner Theatre in Washington, D.C.
Back on the ground, Hadfield confessed that although he loved the experience, he doesn't miss space. "We're at the stage now of not just seeing if we can get there, but starting to colonize another planet. That's what interests me. The stuff that's happening, and coming up, and being invented. ... I think there's too much cool stuff going on to just reminisce." Hadfield decided he wanted to be an astronaut when he was just nine years old. But "it's so far in the future, especially if you're Canadian— it's like, I mean, come on," he joked. "I thought, you know, well I'm gonna work on it, but I'm never gonna count on it." He kept his expectations low, and he told Eisenberg that he never allowed himself to believe he have achieved his goal "until you've gotten into the rocket, and the engines have worked, and they blast you into space, and the engines shut off, and you look around and you go, 'I am here. This is for real. 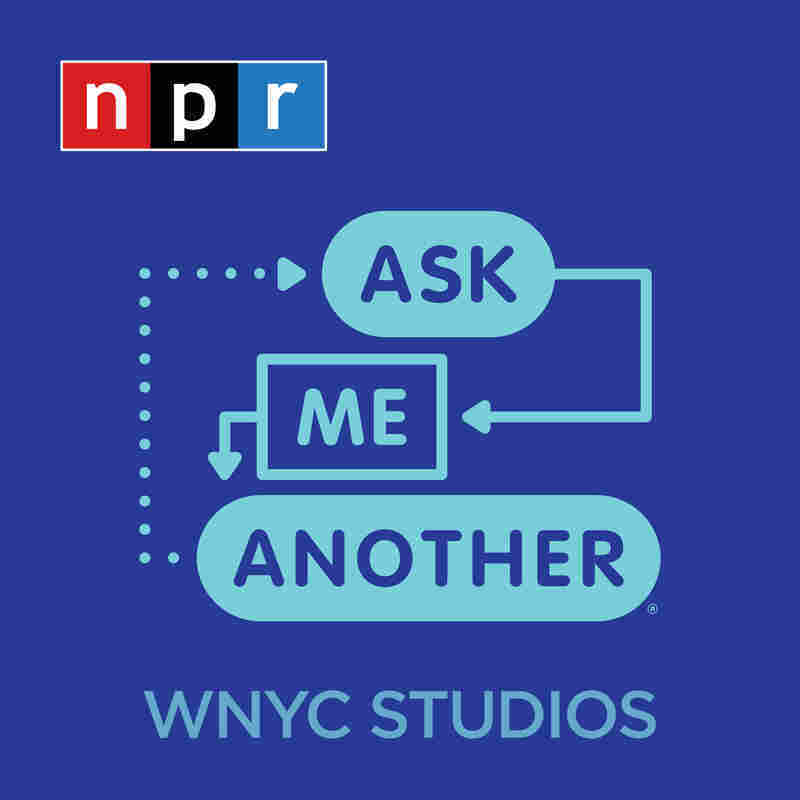 I am an astronaut right now.'" Among the many simple tasks Hadfield had to relearn in space, singing and playing guitar was a strange one. He offered to Eisenberg and the audience that in order to simulate what it's like, "Put your guitar down next to the wall, [and] stand on your head. Stay on your head for two or three hours. ... And while you're upside down standing on your head, then pick up the guitar with no strap and play." After adjusting to these circumstances, Hadfield recorded a video of himself covering David Bowie's "Space Oddity." The video became wildly popular on the internet— garnering over 38 million views. Hadfield graced the Ask Me Another audience with a performance of an original song, "Daughter of my Sins," accompanied by the full gravitational force of Jonathan Coulton. Then we challenged this former downhill ski instructor to a game about the science behind winter sports. It turns out that the only thing more terrifying than space travel is doubles luge! What we've found is the first time you pee in space, your urine is already full of your skeleton— of the minerals and calcium that's in your skeleton. Your body senses right away that it doesn't need to build this heavy skeleton to fight gravity if there isn't any. When I was born there was no such thing as an astronaut. No one had ever flown in space. It's still a brand new thing. Probably. Because there's an unlimited number of planets. But we haven't found evidence yet so we don't know, we're looking. But that's why we're exploring— we want to answer that question.